Switches are used to direct the bogie and JPod to the appropriate guideway that results in the fastest route to the passanger's destination. 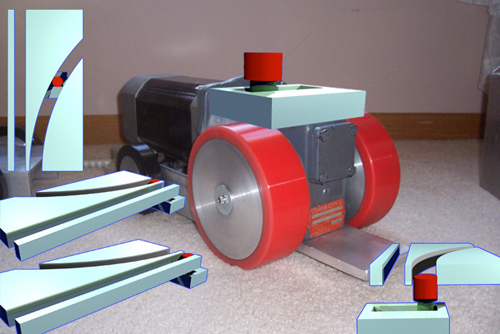 A boss mounted above the bogie switches left or right into a guide. The guide then routes the bogie to the planned guideway. Switches are also used at station sidings. This allows JPods to arrive at the station without other JPods having to wait while it unloads.